Claims for Obamacare enrollees were nearly double the cost of average medical claims for individual non-qualified health plan enrollees, according to a report from the Mercatus Center. The report evaluated 174 insurers that offered qualified health plans for both individual and small group markets in 2014. Qualified health plans are those that provide comprehensive coverage and meet all of the essential health benefits defined under the Affordable Care Act (ACA). Consumers of these plans may also be eligible to receive premium tax credits and cost-sharing subsidies. 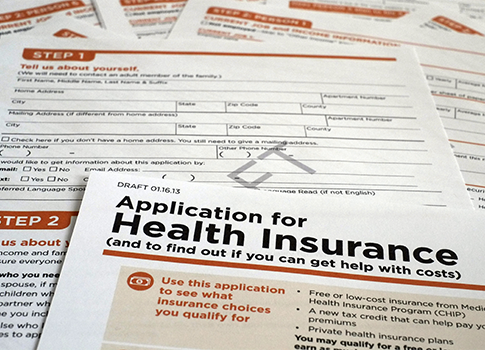 The report found that the cost of enrollees in individual qualified health plans were 93 percent higher than enrollees in individual non-qualified health plans. "Individual market [qualified health plan] enrollees incurred nearly $5,000 in average medical claims in 2014—93 percent more than the roughly $2,600 in average medical claims incurred by people enrolled in individual market non-[qualified health plans]," explained Brian Blase, one of the co-authors of the report. "The substantial medical claims paid by individual market [qualified health plans] resulted in large losses despite insurers taking in premium income, largely consisting of government subsidy payments, of about $1,400 more per enrollee for their individual market [qualified health plans] than for their individual non-[qualified health plan]," he said. Insurers for individual qualified health plans experienced significant losses because they failed to attract a balanced risk pool and had a higher percentage of less healthy enrollees, according to the report. The study predicts that 2017 will be challenging year for Obamacare since some insurers have announced plans to withdraw and many are requiring premium increases, which will be less attractive to young, healthy individuals. "Rather than stabilizing in 2016 as many experts predicted, the Affordable Care Act is leading to large premium hikes and less choice and competition in the individual insurance market as plans prove unattractive to relatively young, healthy, and middle-class people," Blase says. "Without significant revision to the ACA that makes insurance more attractive to younger and healthier people and that significantly reduces the incentive for people to wait until they are sick to purchase coverage, the individual market looks increasingly likely to morph into a highly subsidized high risk pool."